Edwin Godwin Buckman, an assembly member of the Bakaano Electoral Area in Cape- Coast, filed his nomination to contest the parliamentary seat on the ticket of the New Patriotic Party (NPP). Amid drumming and dancing through the principal streets of the former colonial capital by followers, Buckman, after filing his papers to challenge Ms. Christine Churcher, the incumbent Member of Parliament (MP) in the primarie scheduled for June, this year, called on the members of the party in the constituency to vote for him to lead the party in the constituency to victory. The filing of nomination by Buckman to contest for the seat, diffused the earlier speculation that the party would not organize primaries in the constituency. Buckman who holds a bachelor's degree in Administration from the University of Ghana, Legon, said he would set up an education fund to assist the people in the municipality to enable more children go to school. He noted that Cape-Coast was losing its fame as an education hub, to other cities in the country, owing to neglect, pointing out that some citizens of the country had set the pace by setting up an education fund to help their people. The aspiring MP maintained that the standard of first cycle education at Cape-Coast had fallen drastically and that, people from other parts of the country were largely occupying most of the secondary schools in the city. He reiterated his commitment to work in collaboration with the Omanhene and his elders, the incumbent MP, the Municipal Chief Executive, NGOs, Civil Society Organisations and all stakeholders to raise the image of the country's tourist destination. “We need 'think tanks' in Cape - Coast who will, from time to time, set the agenda for accelerated development in the city. Somebody must bring the think tanks into being and I humbly offer myself as a vehicle for the achievement of this goal”, the young politician said. Buckman, 30, a constituency youth organizer promised to ensure free flow of information between him and his people in accordance with what he termed as the “3Rs”- Respect, Recognition and Reward. Dilating further on what he could do for the youth if elected into office, Buckman said he recognized the youth as the most important human resource that contributed to the development of a nation and for that matter, he would harness this potential by way of training them to acquire vocational skills, among other things, to enable them contribute their quota in the socio- economic development of the constituency, irrespective of political affiliation. However, in an interview with a cross-section, Cape Coasters indicated that support for the incumbent MP was dwindling fast. “If the NPP imposes Christy on us again, we would vote skirt and blouse,” meaning, they would vote for the President but not the MP, one Amakyi Forson said. Meanwhile, Buckman's entry into the race has been welcomed by most NPP supporters who see it as a turning point in the party and a means of paving the way for the youth to replace the ageing NPP Members of Parliament who they said could not withstand the heat from the minority NDC 'combatants' like John Mahama, Moses Asaga, Alban Bagbin, Ofosu Ampofo, Ama Benyiwa Doe, Tetteh Kporda, Doe Adjaho and others when it came to debate in the House. However, there was media report alleging that the Municipal Chief Executive, Arafat Muniru Nuhu, had thrown his weight behind Buckman and this had created a rift between the MP and the municipal boss. 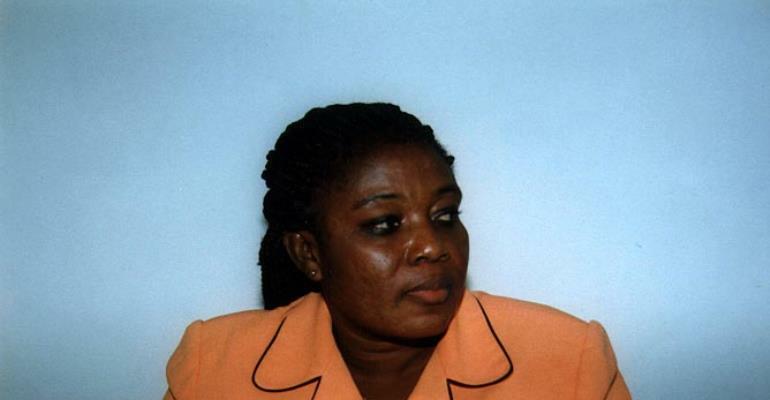 Political observers in Cape-Coast have tipped Buckman to win the primaries but another school of thought said if incumbency was anything to go by, then Ms Churcher was still a force to reckon with.